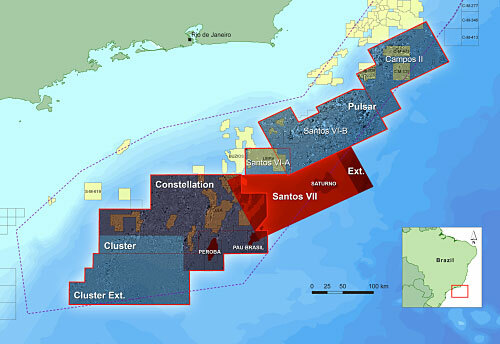 CGG has announced the completion of an extension of its Santos VII broadband 3D multi-client survey offshore Brazil. The 1,867 sq km extension to the original footprint gives CGG a total of almost 16,000 sq km of newly acquired and imaged pre-salt coverage. The extension was made to fully image this highly prospective area after images recently delivered from the Fast-Track PSDM over a priority area of the Saturno field clearly indicated further structure to the east. This addition will aid in the interpretation and understanding of the Saturno field well in advance of the May 2018 lease round.